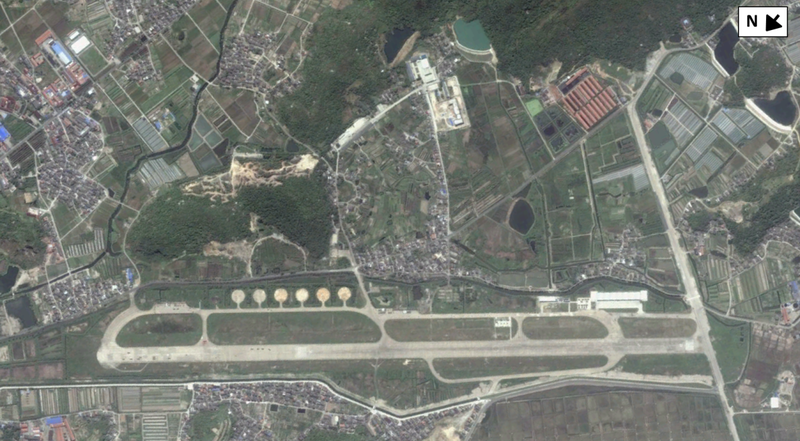 Bellingcat.com says in its report “Satellite Imagery Reveals China’s New Drone Base”, “Satellite imagery of Hangzhou Bay shows that China has recently renovated a reserve airfield for dedicated drone operations in the East China Sea…. Space snapshots acquired by DigitalGlobe from April 2015 show three of China’s BZK-005 parked in front of aircraft shelters on Daishan Island, located just off the coast in the East China Sea. The platform’s associated ground control stations were parked nearby. In all fighting, ingenious surprise move shall be taken to win the battle while frontal engagement is being carried out. Well-known examples of US application of the strategy were General McArthur’s Operation Chromite and General Norman Schwarzkopf, Jr.’s Operation Desert Shield. When US and South Korean troops were conducting frontal engagement with advancing North Korea troops deep in South Korea, McArthur conducted surprise amphibious invasion of Inchon that brought about a decisive victory against North Korean troops. If China had not sent troops to North Korea’s rescue, North Korea would have entirely been conquered by UN troops. During the Gulf War in 1991, General Schwarzkopf deployed US navy to conduct frontal engagement with Iraqi troops along Iraqi coast to draw most of them to the coastal areas. He then carried out surprise land invasion with overwhelming army and conquered Iraq in days. Now, what is China’s best surprise move when the US conducts a conventional war of aggression against China? It shall be surprise attack of US homeland while engaging US navy and air force in sea areas near China. That is the reason for China’s urgency in developing hypersonic weapons and fourth-generation attack nuclear submarine. Before obtaining such weapons, China has to do with midget submarine carried in attack nuclear submarines as described in my post yesterday. US media National Interest’s article “How Hypersonic Missiles Push America and China towards War” again shows US strategy illiteracy. Know both the enemy and oneself, one is never in peril at war; know oneself but not the enemy, one has a half chance to win or lose; know neither the enemy nor oneself, one always loses. The US just ignores the need to understand China’s active defense strategy, the essence of which is attack being the best defense. China simply does not need to be better than the US item by item. As long as it has the ability of counterattack against US homeland, it has the deterrence to prevent US attack. Some people are afraid that if China attacks US homeland, the US will retaliate with nuclear weapons. The US dare not as China has sufficient second-strike capabilities as nuclear deterrence. China has more than enough financial resources and production capacity to obtain more than enough ICBMs and nuclear warheads for second strike. That is common sense. It is unimaginable if US leaders and generals are not aware of that. Certainly, I do not mean that China attacks the US first. What I mean is China’s counterattack when its homeland has been attacked by the US. That is China’s bottom line. A naval or air conflict can be resolved by negotiation but an attack at Chinese homeland or nuclear base will not. That is common sense so that I need not elaborate. Therefore, if China has acquired hypersonic weapons, it will deter US attack and bring US to the negotiation table instead of “pushing China and US towards war” as claimed by the said article. 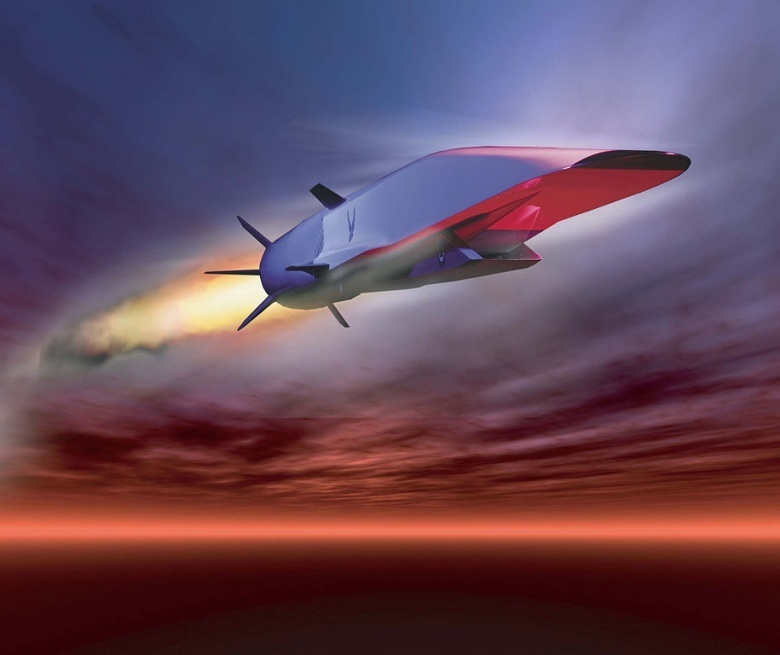 The article is narrow-minded in regarding China’s aim in developing hypersonic weapons as penetrating US missile defense. US missile defense is far from perfect. It can at best only intercept 50% of attacking ICBMs. China is entirely able to deploy more second-strike missiles than the US can intercept. US simply dare not use nuclear weapons against China; therefore, what I am talking about is conventional war. The article believes that if China does not have hypersonic weapons, it will be easy to prevent escalation of military conflict between China and the US. That is simply imagination. Escalation has never been a strategy advocated by China. Concentrating superior force to conduct surprise attack at where the enemy is weak is what China has always done in accordance with Sun Tze’s teachings. Escalation means gradual increase in the force employed. There is great chance for the enemy to wipe out the first batch of force not enough to deal with enemy force. The US has to adopt such stupid strategy because US president has difficulties in getting Congress approval and provision of funds. Chinese leaders have no such difficulties at all. Chinese leaders and generals can keep their troops always ready to conduct surprise counter attack against US homeland as soon as their homeland has been attacked by the US. When China has not acquired super quiet and fast nuclear submarines or hypersonic weapons, its daredevil special force in midget submarines carried by nuclear submarines will always be ready for suicide counterattack when Chinese homeland has been attacked by the US. That is the only way to prevent escalation of and bring about a quick end to the war. China’s banks are strengthening their position as the best capitalized and biggest profit makers in the world, a study showed on Monday. 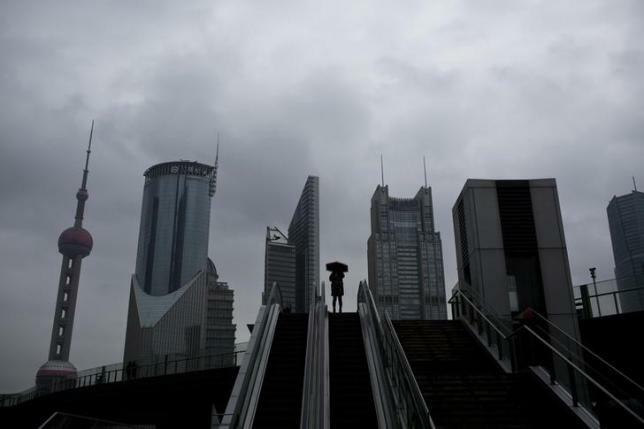 Chinese banks filled the top four spots for profits across the industry in 2014 after making more than $180 billion between them, according to The Banker magazine’s annual rankings of profits and capital strength. Chinese lenders collectively earned almost double the amount of their U.S. rivals, the data showed. Industrial and Commercial Bank of China’s (ICBC) (601398.SS) $59.1 billion profit last year topped the rankings, ahead of China Construction Bank (601939.SS), Agricultural Bank of China (Agbank) (601288.SS) and Bank of China (601988.SS). U.S. bank Wells Fargo (WFC.N) ranked fifth with a $33.8 billion profit, followed by JPMorgan (JPM.N) and HSBC (HSBA.L). ICBC also topped The Bankers’ ranking of the strongest banks in the world for the third year, which is based on the amount of capital held, in amount rather than as a ratio of assets. The magazine says that method best reflects banks’ ability to lend on a large scale and endure shocks. China had four names in the top six strongest banks. There were four U.S. banks in the top 10 – JPMorgan was third and Bank of America (BAC.N) was fifth – and one British and one Japanese bank. China’s big state-backed banks are growing in size and importance, fueled by their dominance of a huge domestic market. They are growing internationally, but still have relatively modest overseas assets. In contrast, some of the most international U.S. and European banks are slipping down the rankings as they close businesses and shed assets to try to improve profitability. HSBC slipped to ninth at the end of last year (from fifth in 2013) and Citigroup (C.N) was seventh (from sixth). HSBC, Citi and Royal Bank of Scotland (RBS.L) were the top three banks in terms of capital just before the financial crisis in 2008. The Banker said in most regions banks increased their profits last year from 2013. The best returns on capital were made by banks in South America at an average of 26 percent, followed by 24 percent for African banks, 19 percent in Asia and 15.5 percent in North America. Returns in Britain averaged 7.3 percent and lagged at 4.6 percent in the Eurozone, The Banker said. Italian and Greek banks made the biggest losses last year, with Banca Monte dei Paschi di Siena (BMPS.MI) the worst performer with a $9.3 billion loss. 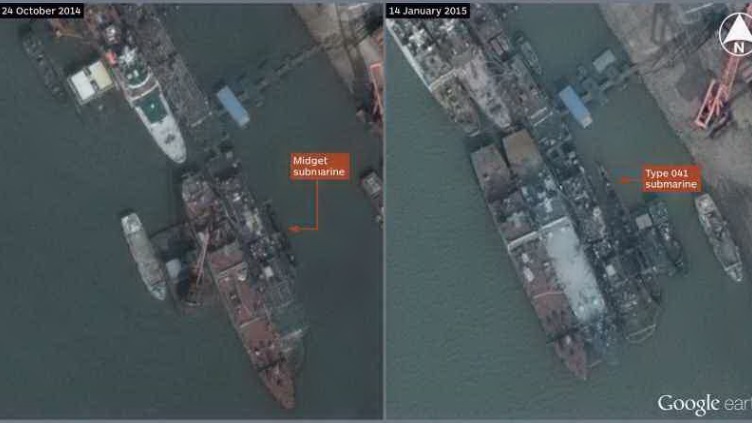 Huanqiu.com says in its report yesterday that according to Jane’s Defense Weekly’s report on June 25, on October 24, 2014 DigitalGlobe satellite imagery showed a midget submarine being built at a pontoon in Wuchang Shipyard, a shipyard specialized in producing China’s conventional submarines. The photo was posted on Google Earth and was highlighted by a contributor to the Bellingcat open source intelligence website. Judging by the photo the midget submarine is 35 meters long and 4 meters wide with an estimated displacement between 400 and 500 tons when submerged. According to International Assessment and Strategy Center senior fellow in Asian military affairs Rick Fisher, the new nuclear submarine is designed for coastal warfare. Taipei Times quotes Fisher as saying, “Its distinctive features reportedly include a lock-out chamber aft the sail for housing a special operations forces transport vehicle”. As most Taiwan people regard themselves as Chinese, China knows it has to unify it by peaceful means. In fact, mainland China has greatly improved its relations with Taiwan. Building midget submarines for military attack at Taiwan will only complicate the situation. Moreover, it is clear that a nuclear submarine is used for long-range attack instead of Taiwan only 200 miles away; therefore, what Fisher said was merely aimed at sowing discord between mainland China and Taiwan. Therefore, this blogger believes that the nuclear and midget submarines are to be used for retaliation counterattack at US homeland if the US attacks Chinese homeland. In spite of Chiness generals’ repeated denials, US strategy illiterates persist in regarding A2/AD (anti-access and area denial) as China’s strategy. A2/AD is first of all passive defense like what France did in repelling enemy attack at its Maginot Line. It has been proved ineffective in World War II. Now, China has times and again said it strategy is active defense, but US strategy illiterates fail again to understand the strategy. But what is it (active defense)? In brief, it’s the strategically defensive posture that a big, resource-rich but weak combatant assumes to weary and turn the tables on a stronger antagonist. Such a combatant needs time to tap its resources — natural riches, manpower, martial ingenuity — so it protracts the war. It makes itself strong over time, raising powerful armed forces, while constantly harrowing the enemy. It chips away at enemy strength where and when it can. Ultimately the weaker becomes the stronger contender, seizes the offensive, and wins. It outlasts the foe rather than hazarding a battle early on — a battle where it could lose everything in an afternoon. Prof. Holmes confuses Mao’s active defense with Xi Jinping’s active defense. Mao’s strategy of luring enemy deep into Chinese inland was a way to resist a strong enemy when China is very weak. However, we have to remember the disasters caused to Chinese people by enemy such as those caused by Japanese invaders. That is why when China had grown stronger, Deng Xiaoping substituted his strategy of active defense for Mao’s strategy. His is allowing enemy occupation of some areas instead of luring enemy deep and concentrate Chinese troops to attack where the enemy is weak when enemy troops are spread widely in China’s vast homeland. At that time, China has grown stronger but was still weaker than its enemy. It has to allow the enemy to attack some areas near its coast. Therefore, as China concentrated its development in areas along and near its coast, when there is a war there will be serious damages to the many high-speed railways, modern airports, expressways, bridges, skyscrapers, etc. that China has built along and near its coast. The casualties suffered by people will also be very serious as the well-developed coast areas are densely populated. In order to protect China’s coastal area, Hu Jintao substituted Deng’s strategy of active defense by his active defense of wiping out the enemy at sea. Hu began to make great efforts to develop China’s navy. Now, due to Hu’s strategy of active defense China has developed enough capabilities to wipe out the enemy at sea by saturate attack of its large number of ballistic and cruise missiles from land, sea and air. What Prof. Holmes does not understand is China does not allow its enemy to attack its homeland now, let alone alluring its enemy into its homeland. However, China begins to worry about the danger of its trade lifelines being cut by the hegemon that dominates the oceans. To protect China’s trade lifelines, Xi has replaced Hu’s strategy by the strategy of developing integrated space and air capabilities for attack and defense. The strategy remains active defense, but focused on the capabilities of counterattack as the essence of active defense is attack because attack is the best defense. Xi’s strategy is to obtain the integrated space and air capabilities to destroy US navy at high sea so as to protect China’s trade lifelines. 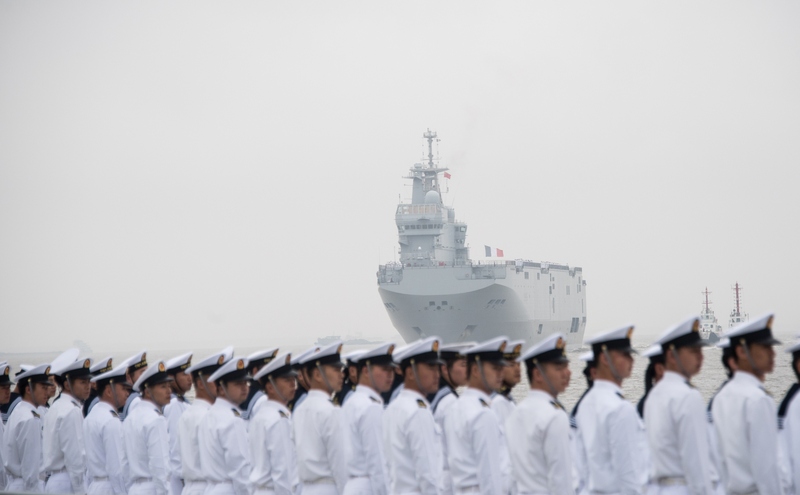 All the above details of the development and changes in China’s strategy of active defense are obvious if one has read the lots of discussion of Chinese strategies by Chinese officers, experts and scholars in Chinese media. What I said about Xi’s focus on development of hypersonic aerospace bombers armed with hypersonic missiles that are able to destroy US aircraft carrier battle groups in minutes is my speculation. However, that is not China’s ultimate strategy. Its ultimate strategy is to develop the capabilities to attack US homeland in retaliation of US attack of Chinese homeland. Such capabilities will be adequate deterrence to prevent any enemy’s attempt to attack Chinese homeland. World peace will be ensured then and there will be no bully by any hegemon. It is similar to the development of nuclear second strike capability to deter nuclear attack. It is in fact conventional deterrence. Such conventional deterrence capabilities will be China’s ideal active defense capabilities. Do I have any evidence to prove China’s development of such capabilities? Certainly I have. In my next post, I will describe China’s mystic midget submarine. Foreign intelligence is puzzled by China’s development of such submarine. It guesses that such midget submarine is to be carried in a big nuclear submarine to be released near enemy coast to send special force to attack enemy coastal areas. They speculate that such midget submarine will be used in attacking Taiwan, but there is no need for a nuclear submarine to carry the midget submarine as Taiwan is merely about 200 miles from Chinese mainland. Carried by a nuclear submarine, the midget submarine will be very useful to send special force to attack American homeland. That is the secret. When China has not yet built its aerospace bombers and fourth-generation super quiet and fast attack nuclear submarines for attack of US homeland, the midget submarines will do in attacking US homeland. Though such attack is not satisfactory, at least it may cause panic in US homeland. Developing the capabilities for counterattack at US homeland is China’s ultimate goal of active defense. China will have such capabilities when it has built the said submarine and aerospace bomber within a decade. For the time being, it has to rely on its midget submarines and the daredevil special force carried by such submarines. I hope that my post may make US strategy illiterates understand China’s active defense strategy. China does not want to replace the US as world hegemon nor to affect other countries’ election. It only wants the active defense capabilities to make it impossible for the US to bully China. Knowing that, those strategy illiterates will not rest at ease that it will take at least two decades for China to build enough aircraft carriers as rival to US aircraft carrier fleet. Aircraft carriers are useless in attacking US homeland as it is too expensive to build and maintain a stronger aircraft carrier fleet to attack US homeland. It takes less time and costs much less to develop aerospace bombers and super nuclear submarines to attack US homeland. Only when one has the capabilities of counterattack can one avoid being bullied. SCMP gives description of the tortures in China under police detention in its report yesterday. When lawyer Cai Ying recounted how he was tortured during 87 days of secret detention, tears welled up in his eyes. 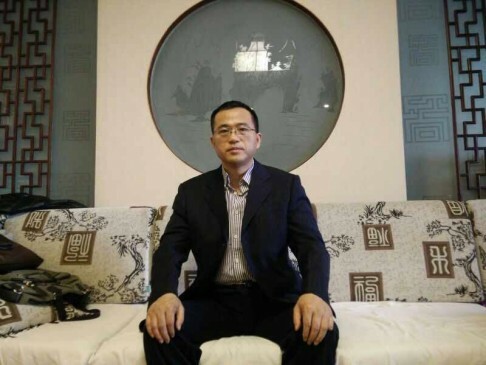 Accused of bribery, perjury and fraud – charges that he insisted were trumped up in retaliation for having sued local judges – Cai was detained incommunicado by Yuanjiang city prosecution authorities in Hunan province in a hostel from July to October 2012 in the name of “residential surveillance”. During his time in detention, Cai said he had suffered torture of unimaginable cruelty that made him feel “living was worse than being dead”. He even contemplated suicide three times. “I was humiliated so badly I thought of ending it all, but then, I thought of my daughter,” said the 50-year-old as he shed tears. During his ordeal, Cai was questioned for long hours while restrained in an “interrogation chair”, which was suspended more than 1.2 metres off the ground, with his hands cuffed onto a wooden board while his feet were left hanging. Cai said the physical abuse had resulted in him suffering rectal bleeding. He had also faced threats, verbal abuse, sleep deprivation, and was starved of food and water at times. The authorities did not inform his family, nor were lawyers allowed to see him, he said. To this day, Cai is still scarred by the horrendous experience. “The humiliating experience filled my heart with hatred,” he said. He suffers from coronary heart disease, chronic slipped disc problems and his lower limbs are often numb. After having had hot and cold air blown on him for long periods during his detention, Cai still suffers from dizzy spells, neck pain and headaches when in an air-conditioned room. Cai said he was released after a letter he wrote was smuggled out of custody and was posted on the internet. He eventually got an apology from the local authorities. However, Cai is only one of numerous victims of torture in custody across the country. The United Nations named June 26 as the UN International Day in Support of Victims of Torture in 1997, with a view to the total eradication of torture. 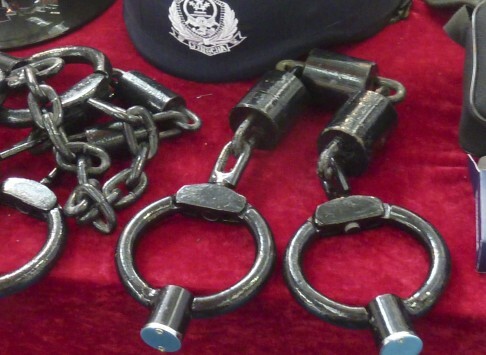 Although China has laws banning torture in custody and ratified the United Nations Convention against Torture in 1988, former detainees, lawyers and rights groups claim the use of torture is still widespread in police custody and in arbitrary detention outside the legal system. They say the long established use of torture in China, unchecked police power and the over-arching importance of “stability maintenance” over human rights are to blame. After a revision to the Criminal Procedure Law in 2012, which banned authorities and investigators from extorting confessions and using torture to collect evidence, there had been hopes that the “exclusionary rule” might improve the treatment of ordinary criminal detainees. Measures, such as the prohibition of using “cell bosses” to manage other detainees, and ensuring that interrogations were videotaped, were introduced. Late last year, state media reported that the Supreme People’s Court was working on a detailed definition of illegally obtained evidence and confessions that should be excluded by the courts. In late 2013, the top court issued guidelines to eliminate the extraction of confessions through torture, such as the use of cold, hunger and fatigue. However, despite these efforts, reports of torture in custody go unabated. Ran Chongbi, a petitioner who was released last month after being held in Beijing’s Fengtai district police detention centre for eight months for “provoking trouble”, said she was handcuffed and had her feet manacled for three months. She claimed her hands and feet were bound tightly together with a dog lead for 16 days while she was barred from going to the toilet. Ran, who was held after she demonstrated in Beijing in support of Hong Kong’s Occupy Central movement last October, said she had also been strangled by a member of staff at the detention centre and placed in a room where five men blew cigarette smoke on her and threatened to poison or shoot her. “I had never been so frightened in my life, I was shaking all over,” she said. Lawyer Yu Wensheng, who was held for 99 days on suspicion of “picking quarrels and provoking trouble” after trying to help a detained supporter of Hong Kong’s Occupy movement, also said he had experienced torture in custody. He claimed he was often interrogated for 16 hours a day, given an inadequate amount of food, often had to sleep on the floor and lived in cramped conditions. For three days, he was confined in a tall, wide metal chair while his hands were twisted around the back of the chair and handcuffed together, he claimed. Since his release, Yu has continued to suffer both physically and mentally. He said he had undergone an operation to treat a hernia – an injury he believed was caused by torture – and continued to be haunted by a sense of fear. When he was first released, he was afraid of chairs because they reminded him of being interrogated under duress. “I often dream of the interrogators … the sense of fear has cast a long shadow over me,” he said. Beijing police did not respond to a request for comments. 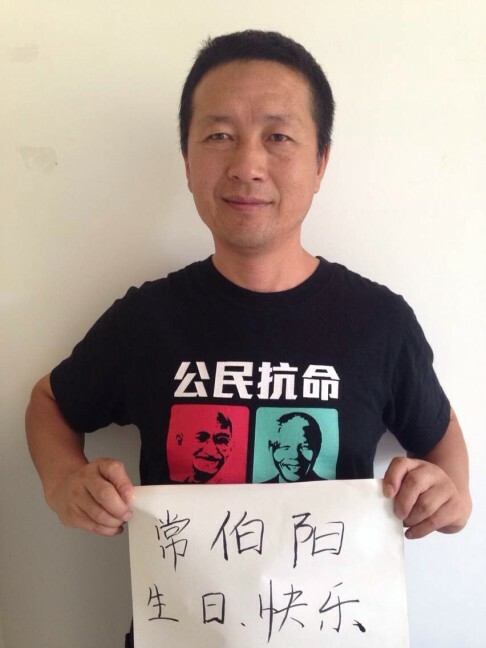 Lawyer Tang Jitian, who has defended many torture victims and suffered torture himself, said that torture remained difficult to eradicate because the protection of human rights was less of a priority than the protection of the political regime in China. As the authorities see law enforcers’ ability to crackdown on “elements of instability” as a matter of paramount importance in their “stability maintenance” drive, limited steps to revise rules on reducing torture will not lead to effective results, he said. “When torture is used on ‘enemies’ [of the regime], such as prisoners of conscience, Falun Gong members, [underground] Christians, nobody takes it seriously and people are rarely held accountable”, he said. 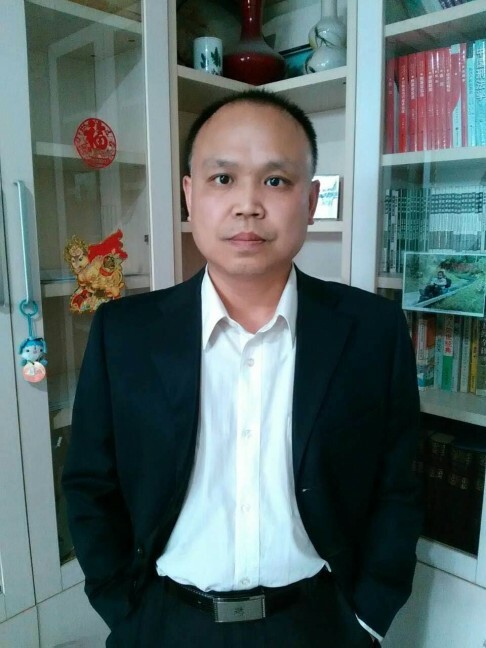 Tang was detained for 16 days in March last year when he and several other lawyers investigated the illegal detention of several Falun Gong members in Heilongjiang province. He was accused of “using cult activities to endanger society” and said he had been hung up and severely beaten while in custody. He said 10 of his ribs had been broken and he was left suffering from tuberculosis. Lawyers and rights groups say abuses in custody are due to unchecked police power and are facilitated by suspects not having access to lawyers and relatives. In police-run detention centres, the police are given unlimited and unsupervised access to detainees. Nicholas Bequelin, East Asia director of Amnesty International, said torture remained “endemic” in China. Unless the government’s torture curbing measures were matched with reforms to grant defendants’ the right to silence, right to legal representation and lawyers’ access, “they are not going to make a significant difference”, he said. Bequelin said that although the authorities were keen to stop torture in ordinary criminal cases to shore up their public legitimacy, there was little incentive to do the same in political cases because dissidents and activists were viewed as threats to the Communist Party’s monopoly of power. Human Rights Watch’s report, Tiger Chairs and Cell Bosses: Police Torture of Criminal Suspects in China, released in May, found that some police officers deliberately thwarted the measures aimed at protecting detainees by means such as using torture methods that left no visible injuries or removing them from detention centres to be tortured. Prosecutors and judges also often ignored evidence of abuse, the report found. The rights group also found police were rarely held accountable for their abuses. Out of 158,000 verdicts published on the Supreme People’s Court’s website for the first four months in 2014, of those verdicts in which suspects had alleged police torture, it found only 23 had resulted in the court throwing out evidence, and none had led to an acquittal. From the same court verdict database, it found only one prosecution of three police officers responsible for torture, but none had served any time in prison. “Unless the government substantially curtails police powers and significantly increases the basic rights of the defence, officers will still be able to get away with torture, and wrongful convictions will continue to emerge,” said Maya Wang, China researcher at Human Rights Watch. Is US forcing China to Fight a War with It? Reuters says in its report that Chinese Foreign Minister Wang Yi said “U.S. ships took Chinese troops to reclaim the Spratlys after they were occupied by Japan during World War Two.” At that time China was ruled by Kuomintang as a weak US ally. The US certainly supported Kuomintang China’s claim of sovereignty over Spratlys. Now China is the People’s Republic of China ruled by the Chinese Communist Party (CCP), which may soon make China surpass the US. Unable to improve US economy to enable it not to be surpassed by China, the US wants to contain China in order to maintain its world leadership for 100 years to come as US President upheld in his speech. Opposing China’s claim of sovereignty to pit Chinese neighbors against China is US trick of containment, but it is a pity that China’s neighbors refuse to take sides between China and the US. The US has to provoke China alone. However, having the sad history of being bullied by foreign powers, Chinese people are very sensitive to foreign bully. As a result, they regard the US as the only bully in the world now that tries to infringe on China’s sovereignty. If the CCP was not firm in resisting US bully, it would lose popular support, which is vital for the CCP Dynasty’s survival. What Wang said has made it crystal clear that China will not hesitate fighting a war for its sovereignty even if it is weaker than the US; therefore, war is inevitable between China and the US if the US continue to revert from its attitude of recognizing China’s sovereignty 70 years ago to challenging China’s sovereignty. Article by Chan Kai Yee in response to Reuters report. 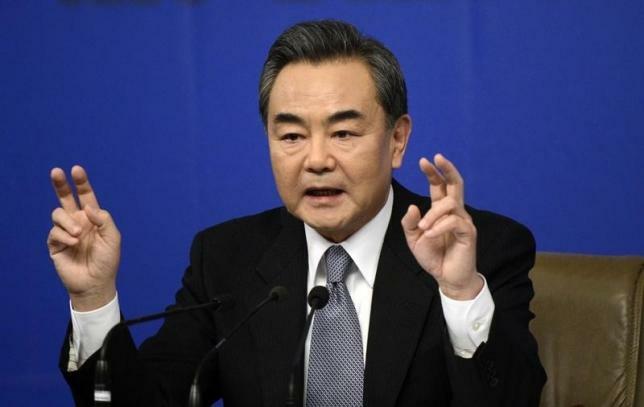 Changing position on China’s claims over the South China Sea would shame its ancestors, while not facing up to infringements of Chinese sovereignty there would shame its children, Foreign Minister Wang Yi said on Saturday. China has become increasingly assertive in the South China Sea, building artificial islands in areas over which the Philippines and other countries have rival claims, sparking alarm regionally and in Washington. “One thousand years ago China was a large sea-faring nation. So of course China was the first country to discover, use and administer the Nansha Islands,” Wang said, using the Chinese term for the Spratly Islands, which together with the Paracel Islands form the bulk of China’s claims. “China’s demands of sovereignty over the Nansha Islands have not expanded and neither will they shrink. Otherwise we would not be able to face our forefathers and ancestors,” the normally taciturn Wang said in unusually strong comments. China claims most of the potentially energy-rich South China Sea, through which $5 trillion in ship-borne trade passes every year. The Philippines, Vietnam, Malaysia, Brunei, and Taiwan also have overlapping claims. Speaking to academics and former officials, Wang said China could not face its children and grandchildren if “the gradual and incremental invasion of China’s sovereignty and encroachment on China’s interests” was allowed to continue. He said U.S. ships took Chinese troops to reclaim the Spratlys after they were occupied by Japan during World War Two. Other countries only started occupying what he said was Chinese territory from the 1960s after oil was discovered. “China is in reality the biggest victim,” Wang said. On Friday, the U.S. State Department’s number two diplomat compared China’s behavior in pursuit of territory in the South China Sea to that of Russia in eastern Ukraine. Wang did not address those comments, but defended China’s land reclamation and building work in the South China Sea as necessary to improve living conditions, pointing out that other countries had been building there since the 1970s. “It is only recently that China has started necessary development,” he said.